In this spring break, 4 cross cultural practicum, one in the U.S., two in Australia, and one in Malaysia, will be implimented. Those students who will participate in the programs delivered the presentation on the prgrams in English. 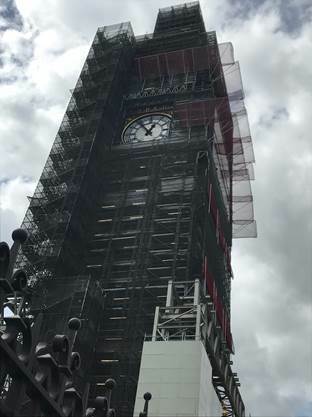 Study Abroad in the U.K.
We visited the UK this summer for about a month. Mainly, we stayed in Burton on Trent in England, and we took some classes like Reading, Writing and Listening training, and British culture class at Burton and South Derbyshire College. Not only Burton, but we could visit various places such as London and Birmingham. Also we had a great time with our host family and made friends with Korean students. All of them are precious memories for us. 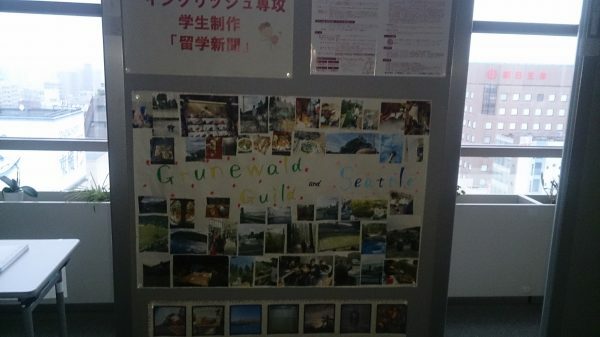 KLC students participated in a cross cultural event in Kikuyo Town as volunteer staffs. 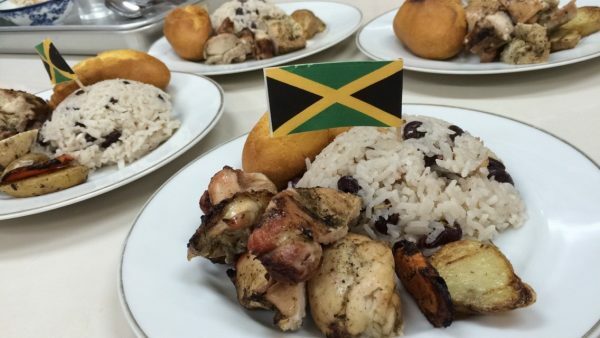 The theme of the event is “We are citizens of the world -Jamaica.” Elementary school students in Kikuyo learned about Jamaica from Jamaican ALT of Kikuyo in English, and then they cooked and ate Jamaican traditional dishes. KLC students helped them how to cook the dishes, and enjoyed talking in English. The follwing is Shiho Yoshida’s report. I’m Shiho Yoshida and I’ve received a Murasaki sports scholarship. 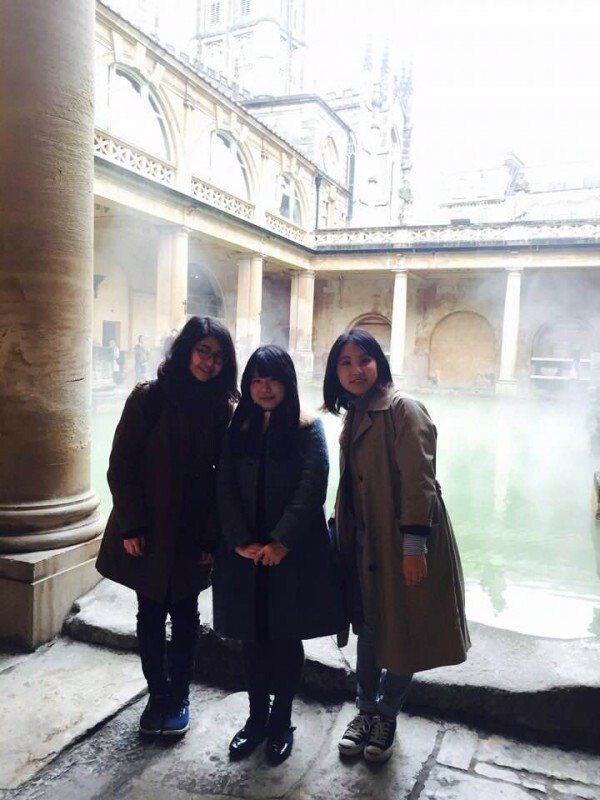 I’ve been in the UK for 3 months studying English and I’ve been having a lot of fun and valuable experiences. Today, I’d like to talk about my life in England which is made up of my college life, my host family with my flatmate, and my holiday. I’m studying English on an ESOL course. 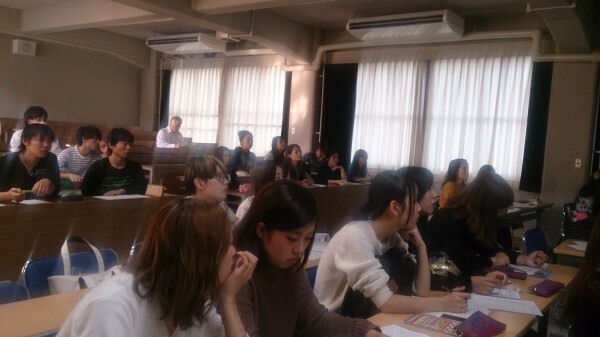 There are three Japanese students and seven Korean students in the class. It is quite a small class, so I can ask my questions easily and I’m learning English steadily. What’s more, I have lots of opportunities to speak, read, listen and write during the classes. I learn grammar, pronunciation, and about English culture as well. I have progress tests almost every week. Taking these tests makes me clear about what it is I don’t understand, and so they are very helpful to me. Moreover, I have lots of opportunities to have conversations with my classmates. As you know speaking in English is hard, but I enjoy talking with them and it is very good for me to learn and understand new words and phrases. My host family and flatmate are very kind. My host mother is from India and my flatmate is from Korea, so I can learn some of the cultural differences between the UK, Korea, India, and Japan. I like spending time with them. It is a very important time when we have conversations while we are having dinner together. When I speak in English to them, I struggle with expressing my thoughts. Nevertheless, I enjoy having conversations with them. I’ve been to Manchester, London, and Bath. 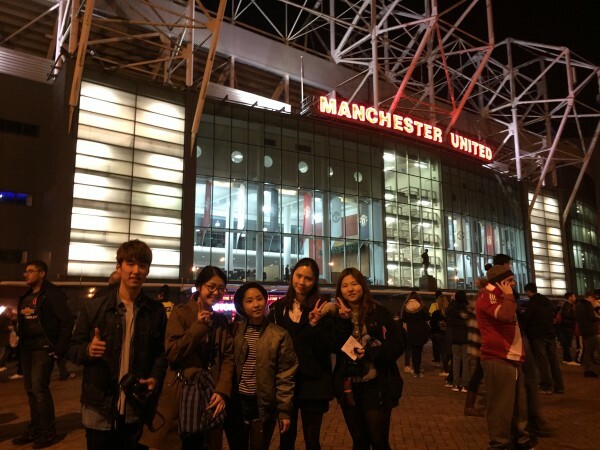 I watched a football game in Manchester, and I saw the beautiful view at night in London, especially of Big Ben. However, the most impressive thing for me was that I visited the Jane Austen Centre in Bath. This was one of my goals during my stay in the UK. I’ve had an interest in Jane Austen since I learned about her during English literature classes in Japan. I was also very attracted to the historical period when she was alive. I learned about her family, her life, and how she wrote her novels whilst in central Bath. I could experience the time when she lived. It was very precious for me to learn about her. As you can see, I’m having lots of fun in the UK. I have only one more month to stay in England and, to be honest, I don’t want to go back to Japan yet. I’m looking forward to spending my time in the UK meaningfully until the end of the program. I’m Fuyuko Ide. I’m a junior and now I’m in the U.K. to study English. I received a Murasaki Sport Scholarship and I’ll stay here until next month. Mostly, I have classes from 9:45 to 15:30. We have a lot of opportunities to speak during class. It’s good for me because speaking is one of my weak points. Our teacher always checks our grammar, vocabulary and pronunciation, so I improve my skills. Recently I took an IELTS practice exam. It was really difficult for me, but it confirmed that my English skill has improved when I received that result. My class isn’t too big, so it’s easy to ask questions and speak. In my class, there are seven Korean and three Japanese, so we learn each other’s culture. This month, we cooked Korean food together. It was really fun. I live with host parents, a Korean student and a dog. My host family is very kind and funny. We laugh all the time and they love us as real daughters. My host family takes us to a lot of places. In November, British people have “Bonfire Night”. They took us to two bonfire festivals. I saw beautiful fireworks. Moreover, my host sister cooked Christmas dinner for us and we got presents from her family, because we are leaving before Christmas. I love my host family, so I don’t want to leave. Studying abroad isn’t easy, but now I know my strong points and weak points. I think it’s important to study English. Actually, since I came here I noticed my vocabulary and speaking skill are really poor. So I’ve tried to improve my vocabulary with a word book and by reading books. I can have a lot of experiences which I can’t have in Japan. I’m deeply grateful for my time studying here. Ms. Sara Brown came to KLC and talked about her cross cultural experience to college students who will participate in the Cross Cultural Practicum next spring. 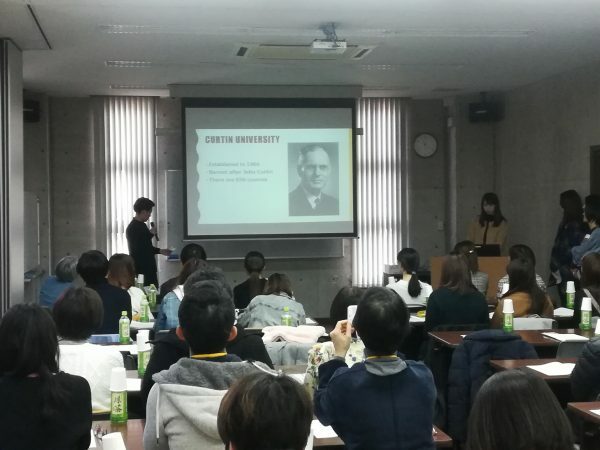 Ms. Brown is a native of New Oreans, Louisiana, the United States of America, and currently teaches English as an assistant language teacher at Kikuchi Senior High School. She advised students not to judge people in foreign countries according to stereo type perspectives. 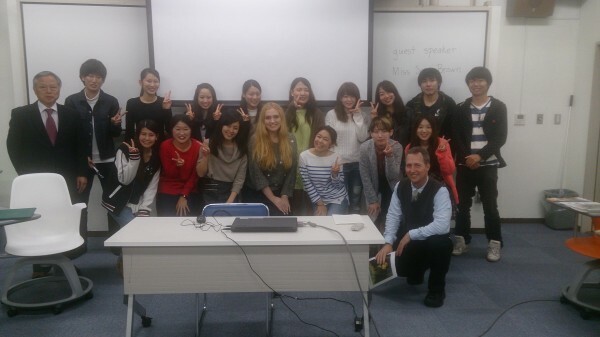 Students posed many questions in English on her cross cutural experience in Japan. My name is Kiko Nagamoto. I’m in Malaysia to study abroad and to participate in an internship, so I will be here for 6 months. 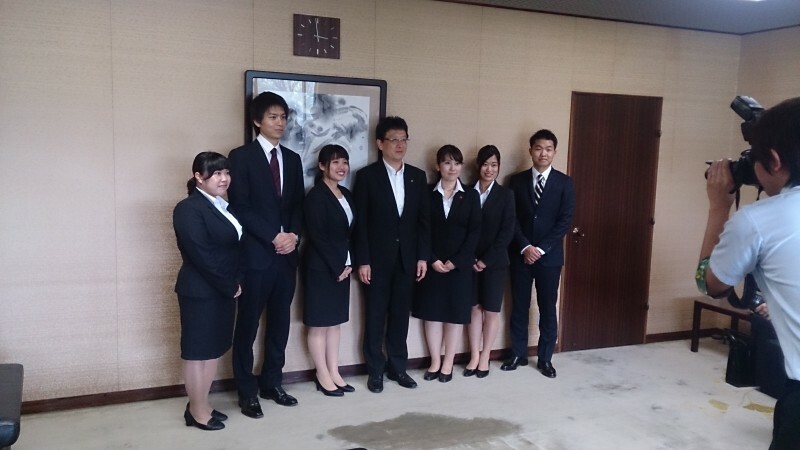 I received a Tobitate Ryugaku Scholarship. This has given me the opportunity to have many good experiences and encounters. 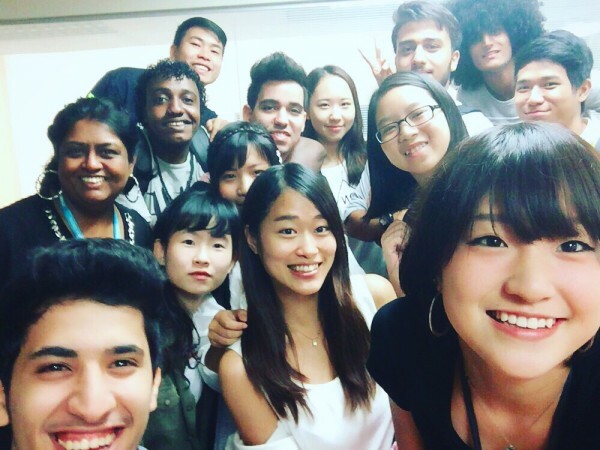 Currently, I’m a students in the IEP (Intensive English Program) at Sunway University. I have 2 classes, Written and Oral English. There are many nationalities of students like Libyans, Kazakhs, Uzbeks, Koreans, and of course, Malaysians. Initially, I had some problems in catching up with what was being taught and expressing my opinions, but my good friends and teachers encouraged me. Since then I have been studying English more intensively. Sometimes I feel disappointed because I can’t express my thoughts and ideas clearly. Then I ask my friends and teachers for the correct grammar and vocabulary. I think to study abroad having a positive attitude is very important. If you want to learn and experience a lot of things, please study abroad. The experiences will benefit you in more ways than you know. Thank you. Copyright(C) Kyushu Lutheran College. All Rights Reserved.